The way to the heart of a destination is through your stomach. One of the greatest joys of traveling the world is sampling the local cuisine that feeds the soul of each place you visit. After all, it’s about more than food, isn’t it? It’s about learning traditional cooking techniques from a local chef. It’s about immersing yourself in the sights, sounds, and smells of a bustling open-air market. It’s about going out on a limb and telling the server “surprise me” at an authentic mom and pop restaurant. When you eat like a local, you get more out of your travel experience. Our new Cruise Global, Taste Local shore excursions help you do just that. Or, you can let Azamara do the research for you! Our new Cruise Global, Taste Local program includes restaurant recommendations, so you know you’re dining at a local-owned, locally beloved establishment. One of the best ways to embrace local culture is to visit a market, but navigating a chaotic market in a new country can be overwhelming. Not when you’re visiting alongside a pro! In cities like Dubai, Copenhagen, and Amalfi, guests can accompany our Executive Chef to the market to sample local delicacies, learn about unique cuisine of the region, and purchase ingredients for dinner onboard. Cruise Global, Taste Local isn’t just about food – it’s about drinking local, as well! In Dubai, guests will follow up their souk tours with a stop at the city’s famous Coffee Museum. In Copenhagen, guests will visit a local brewery after their market visit and taste four different brews. And in Amalfi, guests end their day by touring the Tramonti winery with the ship’s sommelier. Wine tours in some of the world’s most acclaimed regions like Provence, France, and Marlborough, New Zealand, are a wonderful way to understand the unique terroir, varietals, and wine culture of the destination. No matter what beverage you’re toasting with, it’s handy to know the appropriate thing to say. Use this handy infographic to learn how to “cheers” in 25 languages! The best, most authentic food isn’t always served at a Michelin-star restaurant. Sometimes the most memorable meal of your trip is eaten in the open air, purchased from a market vendor or streetside stall. 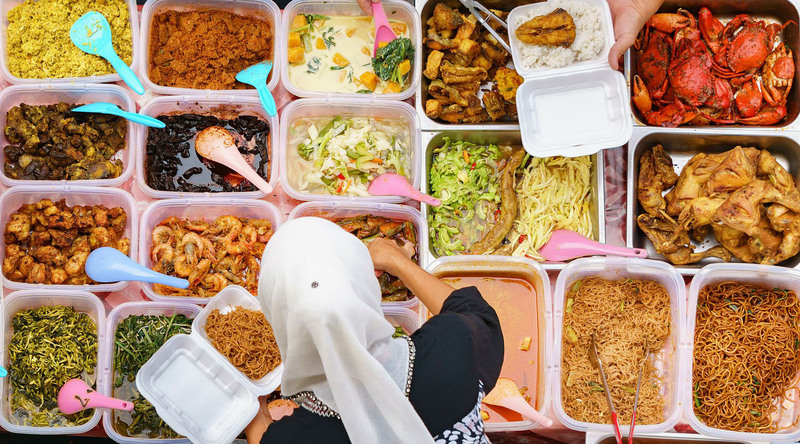 Check out our blog post, Azamara’s Guide To The Best Street Food Around The World, and find out the best items to sample around the world. We know what you can bring home from vacation that beats a souvenir: new skills! Cooking classes are a gift that keeps on giving. You can take your dinner parties to the next level by showing off your new culinary prowess. In Cozumel, Mexico, guests of our Cruise Global, Taste Local tour will learn to prepare a three-course Mexican feast from a local chef. The only thing better than experiencing this private workshop will be enjoying the finished product, while relaxing with a cold drink and stunning views. What are your tips for finding authentic cuisine while abroad and eating #AzaLocal? Share your advice in the comments below!